Where the challenges are always"Anything Goes" but a card. 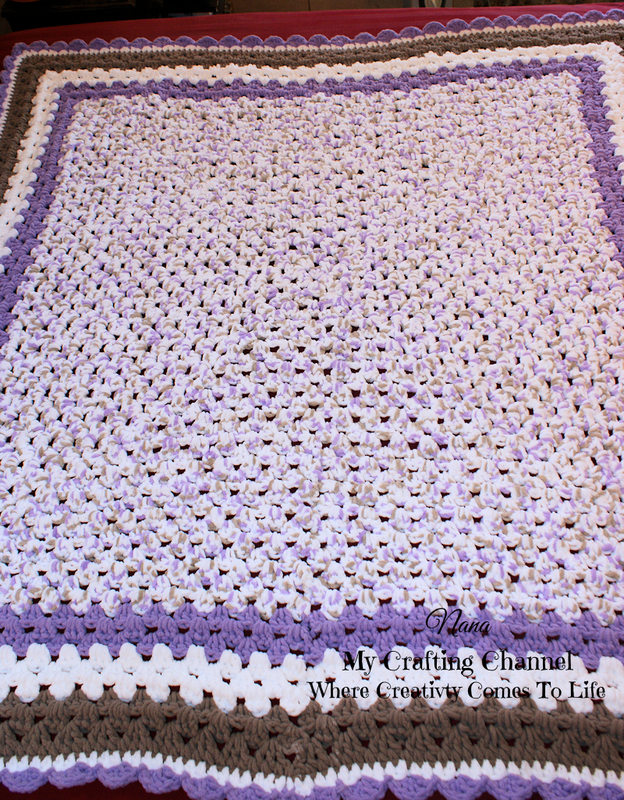 For this challenge I crocheted this afghan for my Barbi, my daughter. I did a a few months back and saved it for a future post. It is so large it was hard to get a good pic of it. But the smaller pics shows the yarn and colors much better. Ofta, is there ever amazing!! The color combination is fabulous! Such a wonderful gift and one to treasure a lifetime! Yay....thanks so much for linking up again at PDE "Anything Goes" Linky Party! What a pretty color combo! That yarn looks like it must be so, so soft. Makes me want to cuddle right up with this beauty - great job! 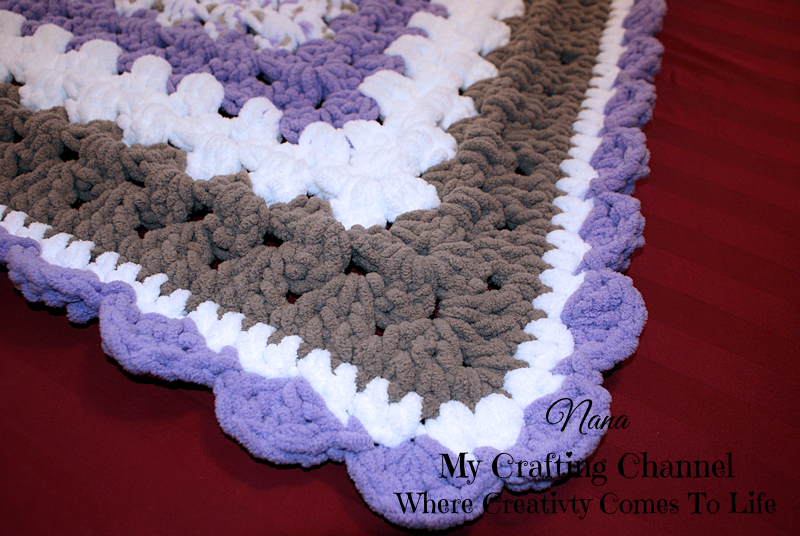 This is such a beautiful afghan! I love the colors and scalloped edge! I just know Barbi will love it! WOW!! This is very PRETTY!! I adore the color combo! !